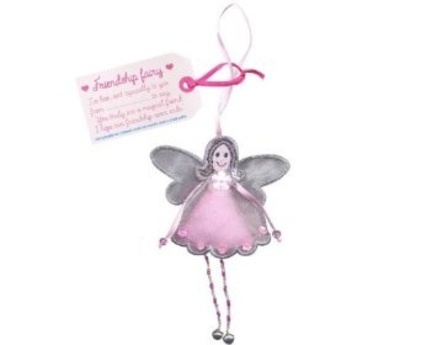 This lovely Friendship Fairy has little ball feet, flower sequins and a beautiful pink organza dress. 100% Fair Trade, approved by the World Fair Trade Organisation. Producer profits have helped to set up and support many local community welfare projects.